Civilization VI has been one of my guilty pleasures for some time now. Not guilty in the sense that it’s something to be ashamed of, but due to the sheer number of hours that are sunk into it at the expense of sleep. 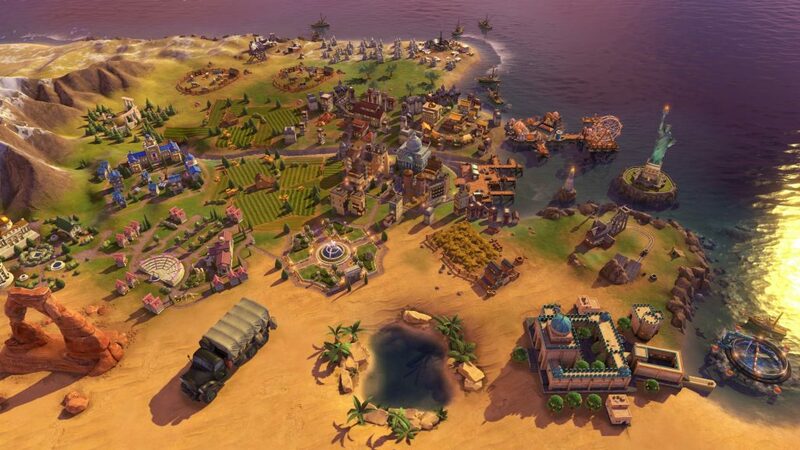 The latest expansion for Civilization VI, Rise and Fall has reignited a passion in the game for me, but it’s still kind of hard to look at objectively and review for the masses. I could gladly go on and list the ins and outs of this expansion (and I will) but it’s worth noting that for the uninitiated, this is going to barely mean a thing. 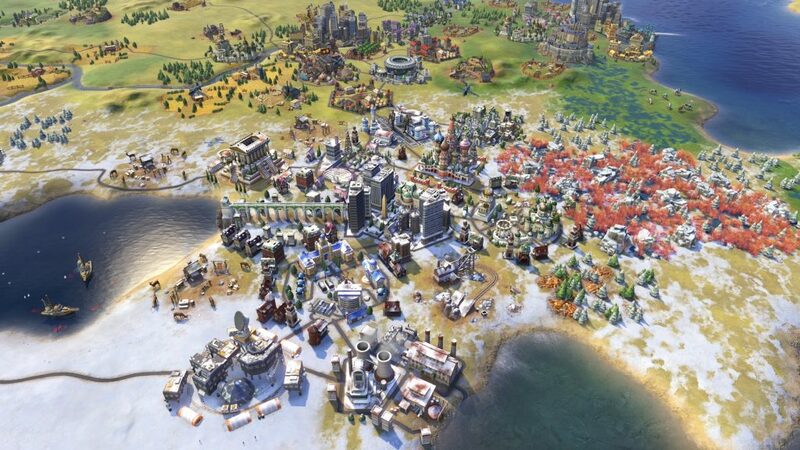 Rise and Fall may mark an exciting time for those already deep into the Civ way of life, but for those yet to join the franchise I can’t imagine it will sway them. I’m on board with it though. Rise and Fall adds new rules and features to the base game, and for the most part they’re pretty fantastic. Your civilisation (we’ll be using the correct spelling when not discussing the title) will go on a roller coaster ride through the ages, where you can instigate golden ages, dark ages or just chill with neutrality depending on the score you get. 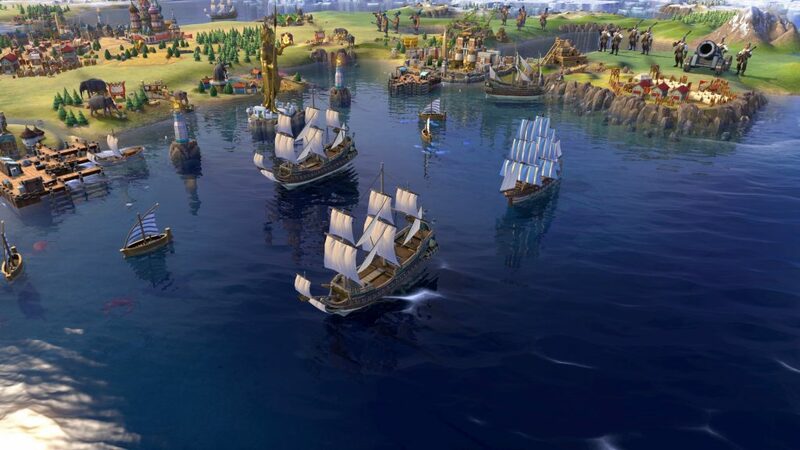 For instance, by building wonders and completing other objectives you will score your civilisation era points, pushing you closer to the bar set for each age. Obviously the better you do, the more likely you are to hit a golden age. Golden ages will reward you with increased city loyalty (more on that later) and plentiful rewards. On the flip side a dark age will cause you to lose city loyalty. To add insult to injury, dark ages reward you with a grimy filter to play the game through, whilst golden ages feel like the contrast on your monitor has been maxed out. It’s not all bad in a dark age however, as if you come out of it into a golden age in the next era, you’ll trigger a heroic age – increasing the rewards you reap. When an age is about to end you will be notified of how many turns are left, and the bottom right of the screen around the “end turn” button will indicate how many points you need to score in the current era to avoid a dark age. Man, this game must look weird to those who have never played. I found these new bite size objectives to be a great addition to the game, as they give you short term goals outside of the typical win objectives. 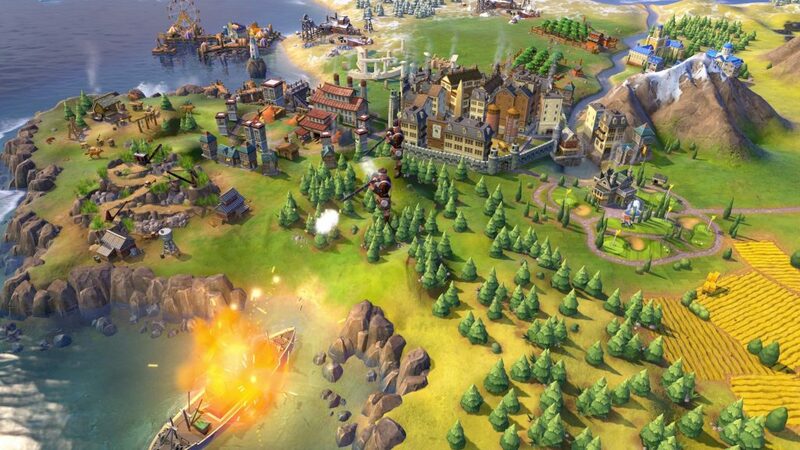 Does it revolutionise the way you play Civ? No. But it does add some nice variety for those who have racked up more than enough hours in the traditional mode. Now on to loyalty – this new metric is calculated across all your cities, and if they lose loyalty they will slip out of your control and become free cities or join other civilisations. You can influence or be influenced by opponent’s cities if they are located near to you, making settlement placement vital in Rise and Fall. To keep cities loyal you can assign them a governor, occupy them with military forces or boost loyalty factors with your policies. The main impact of loyalty is that it’s now harder to hold captured cities when they are still close to the sphere of influence of their original owner. In fact, this is pretty damn frustrating when you have to keep backtracking and reconquering cities during a prolonged war – especially if you’re trying to play without razing cities and racking up warmonger penalties. War in Civ has never been my favourite approach, but if someone gets lippy with me and needs a smack down, I’d prefer it if their territories didn’t keep slipping out from me every time I advanced towards the capital. Of course this is more of a late game issue, but it still is one nonetheless. Loyalty is something I neither loved nor hated in this expansion, it definitely served its purposes, and the new dimension was fun to learn, but it does come with pains and frustrations. Another new short term scenario is the emergency mechanic, which gives an option for military confrontation for all players when a city-state is captured by a opposing team. If you succeed in liberating the state within 30 turns you’ll be greatly rewarded, but should you fail the opposing team will reap the rewards. Emergencies add another short term objective and help break up the monotony of mid-game. They’re also a cool way for you to team up with any other nation that decides to join in on the objective. Yes, that is where the Statue of Liberty is located, in a desert near a giant truck. Naturally with any Civ expansion there are new empires thrown into the mix. In the two rounds I played with Rise and Fall I played as Robert the Bruce of Scotland. The first time was due to national pride, and the second was because the soundtrack the Scottish civ brings is AMAZING. The new civs have been tailored for the Rise and Fall rule set, making them vital to test out during your first few playthroughs. For existing Civilization players, Rise and Fall adds plenty of new content to get you excited about the game again. It might not be the meatiest expansion ever released, but I certainly enjoyed my time with it and will be playing it for some time to come. Overall, Rise and Fall adds some great content to the game, but it doesn't stand out as a must buy or a decision altering addition for newcomers. Unless you're Scottish, then you owe it to yourself to shed a solitary tear of pride every time the bagpipes start up. Take one more turn with Charlie on Twitter @clbraith, and don't forget to follow LoadScreen on Twitter and like us on Facebook.